“I transcended space and time and reality and my problems and cares, and got ejector-seat launched straight into a place no drug or God or pleasure of the flesh has ever delivered me. I was alive.” – Joey Sweeney, writing in The Philadelphia Enquirer about hearing Astrud Gilberto for the first time. 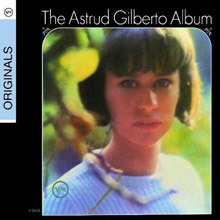 From Bahia, north eastern Brazil, one of three sisters born to a German father and a Brazilian mother, Astrud was born in 1940; Gilberto’s family moved to Rio de Janeiro when she was only 2 years old. 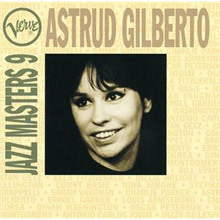 Before going to New York in 1963 with her husband, João, the twenty three year old Astrud had never sung professionally, but in a recording session with Stan Getz, everything was to change. Verve was keen to build on Getz’s success with bossa nova and so teamed him with the best Brazil could offer – Antonio Carlos Jobim and João Gilberto. 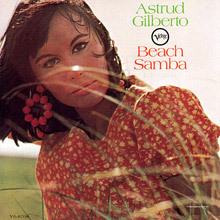 Producer Creed Taylor needed some of the vocals on ‘Getz/Gilberto’ to appeal to the American market, and Astrud was the only Brazilian who could speak enough English. 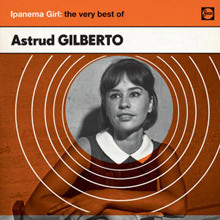 After João recorded the first verse of ‘The Girl From Ipanema’ in Brazilian, he had co-written the song with Jobim, Astrud delivered her breathy second verse in English. It is a song that everyone knows and one made all the more perfect by her untrained, faltering, delicate vocal. The album became a massive selling jazz album when it was released in the summer of 1964. It went to No.2 on the best sellers list and with Gilberto’s distinctive uber cool vocal it made her into a star. Verve released a version of ‘The Girl From Ipanema’ shortened to ensure that radio would play it and that made No.5 on the Billboard singles chart and became a hit around the world. Verve eager to exploit Astrud’s success followed up quickly with Getz Au Go Go by the end of 1964 and while this was nothing like the success of its predecessor it still spent close to a year on the album chart, almost unheard of for a jazz album. It was not all it seemed, as this was a Stan Getz live date recorded in the club in Greenwich Village to which Gilberto added vocals to some of the tracks in the studio, later. There was no more collaboration after João found out that his wife and Getz were having an affair. 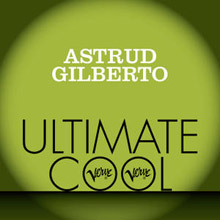 Verve did not miss a beat and recorded The Astrud Gilberto Album in early 1965 and it made No.41 on the charts. 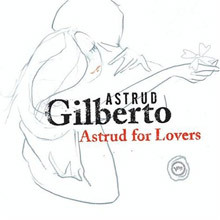 The follow-up, The Shadow of Your Smile also charted, but that was it as far as chart success was concerned for Gilberto. 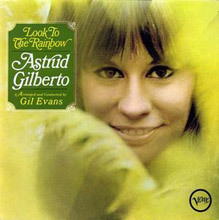 She worked with arranger Gil Evans on ‘Look to the Rainbow‘ (1966), her fellow countryman, the arranger and organist Walter Wanderley on A Certain Smile, a Certain Sadness (1966), and arranger Albert Gorgoni on I Haven’t Got Anything Better To Do (1968). Gilberto gradually went out of favour in America, but remained a huge star in Brazil for a decade or so, until her easy-going style, was eclipsed by the higher-octane jazz-fusion and Brazilian pop of a new-breed of stars including Flora Purim, Elis Regina and Gal Costa. 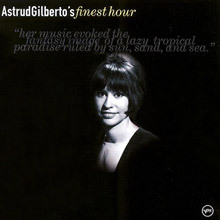 Astrud Gilberto remains a moment in time, a moment when Brazilian music took to the world stage and never left it – largely thanks to Verve and Astrud Gilberto in particular.